In an age of downsizing, Malibu goes big. In this era of austerity, smaller is often touted as better. Compact cars are getting a lot of attention. SUVs have become passé. V8 engines? Meh. Hybrids are all the rage. McMansions are out. Small loft apartments are in. 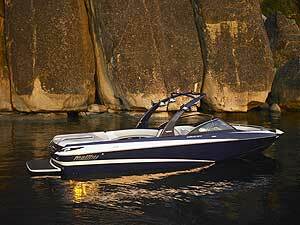 Everywhere you look, smaller seems to be better—but not at Malibu Boats. 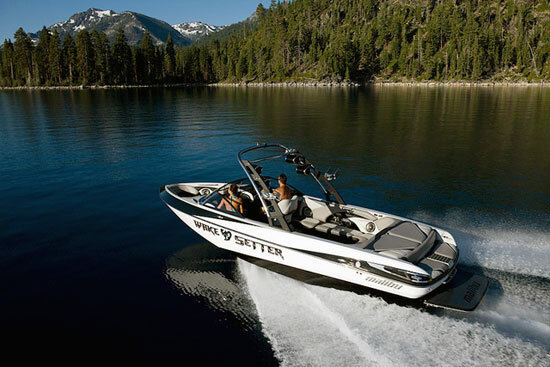 Malibu has redesigned its 2011 247 Wakesetter LSV, inside and out. 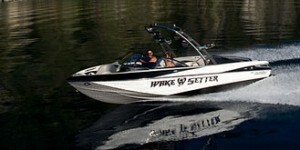 For 2011, Malibu has pumped up its 247 Wakesetter LSV. 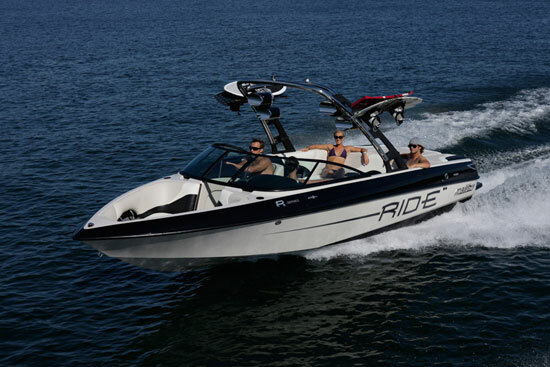 Redesigned inside and out, the 247 handles more people, has more features and can be had with more delicious horsepower—including an industry first for tow boat engines. The new interior now accommodates 17 people. The large J-shape seating lounge features three coaming enclosures with cupholders and grab handles and room for optional 8-inch Rockford Fosgate speakers. The coamings and rear bench also come with stainless-steel Malibu name plates illuminated by gee-whiz LED lighting. A bit over the top, but still cool. The J-shape seating lounge accommodates 17 people. Perhaps the biggest changes for 2011 take place at the helm, which has been redesigned completely. Not only does it come with new seat design that includes a flip-up bolster, but it also comes with an ultra-trick one-spoke Isotta steering wheel and a French-stitched dash. 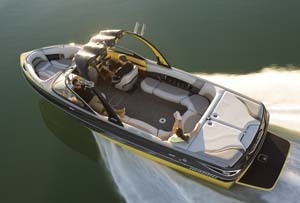 The Wakesetter also gets a new windshield for 2011. Malibu calls it frameless, but since it has a frame, that’s something of a misnomer. Whatever its name, it’s a good looking windshield. The helm has been redesigned completely and includes an optional dash and MaliView dash and entertainment system. With the optional dash, an analog speedometer and tachometer deliver the vitals while integrated digital readouts display fluid levels, air and water temperatures, oil pressure, voltage and engine hours. 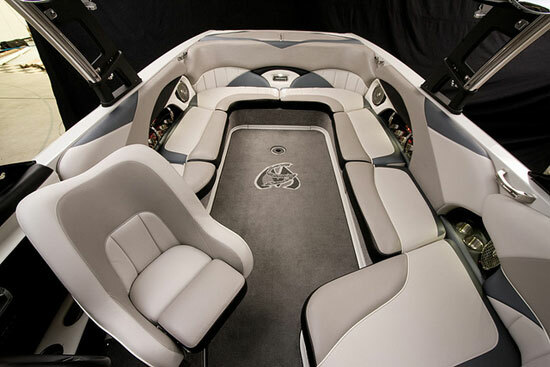 Everything else, from the level in the ballast tanks to the position of The Wedge wake-enhancing foil, is handled through the new MaliView dash and entertainment system. The dash has USB video capability to the available Flo-Cam rearview rider camera system. The flocam's footage can be viewed or recorded on the MaliView dash. Flo-Cam is also over the top, but it is brilliant. The camera mounts atop the tow pylon. It moves with the tow rope to follow a rider’s every move. The footage can be viewed or recorded on the MaliView dash. It also is in a format that can be edited into home movies or YouTube videos. 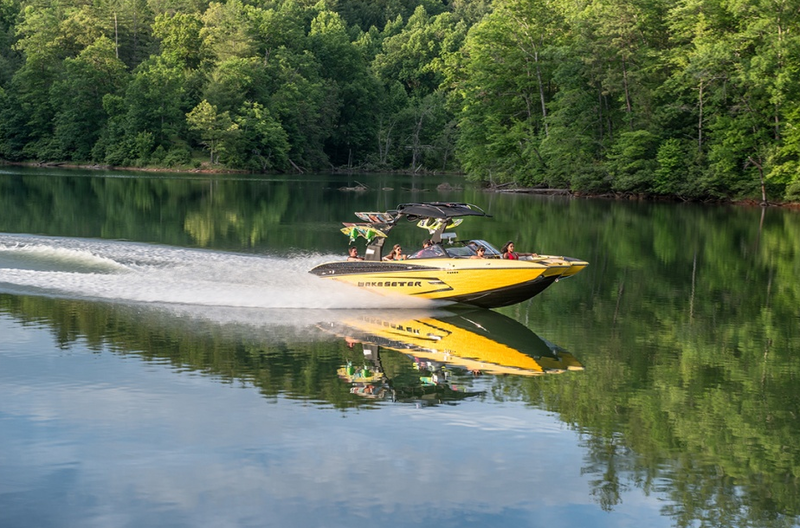 What’s more, the new standard Malibu Touch Command system lets the driver empty and fill ballast tanks, adjust the Wedge, control interior lighting and even start the boat. It’s keyless. Just enter the pass code, press the start button and you’re off. The screen features the same capacitive touch technology found on smart phones and other digital devices. At the swim platform, Malibu built in a couple of “couches” at the rear of the sunpad. They’re ideal for gearing up for a run or just hanging out. They have wet stowage underneath, which is great for stashing ropes, gloves and binding lubricant. The sunpad also comes with stowage to either side of the engine, accessible through side-hinged panels. The optional LSA is a 6.2-liter supercharged engine that packs a 550-horsepower punch. But it’s what comes under the hatch that will have you tingling. 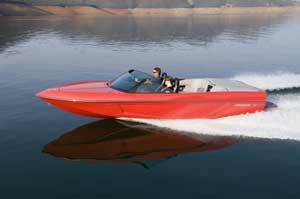 Power options include a new 410-horsepower L96 engine, which churns out 400 pound-feet of torque. The L96 also is fitted with variable valve timing so you always have lots of power on tap regardless of throttle position. If you want even more power, go for the optional LSA, a 6.2-liter supercharged engine that packs a 550-horsepower punch. It also has 545 pound-feet of torque. Wow. 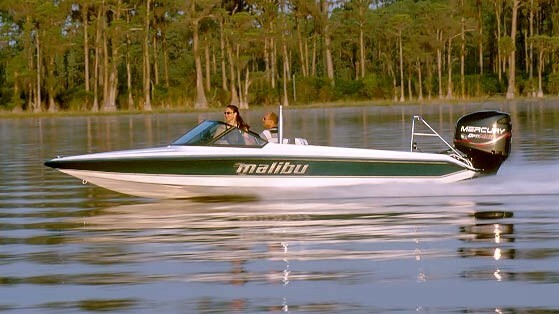 Malibu urges interested buyers to consult with their local dealers for pricing on the 247, which likely won’t be cheap. Of course, no one really needs 550 horsepower to go wakeboarding any more than someone needs a Chevy Suburban to get back and forth to work—but it sure is a nice ride. 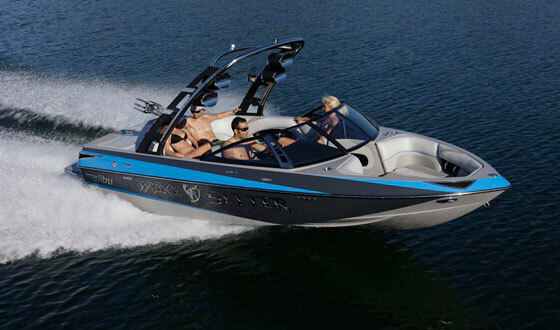 Malibu’s new-for-2011 Wakesetter 247 LSV is shining testament to the notion that less is not more. More is more.